Gauthami Pipes Pvt. 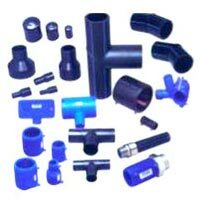 Ltd. an ISO 9001:2001 Certified Company as per IS 4984, would like to introduce itself as a reputed organization involved in the manufacture and supply of various Finished Pipes in the market. 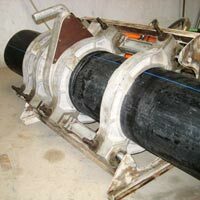 We are one of the prominent manufacturers and suppliers of Finished Pipes, which includes HDPE Pipes, HDPE Pipe Fittings, HDPE Pipe Jointing Machine, Polyethylene Pipes etc. Our products cater to the needs of various industries across the world. We are known for our quality in goods and services and have made a mark in domestic arena in a short span of our existence. Owing to the passion and hard work of employees and visionary policies of management, we have been able to carve a niche for ourselves in the national markets. We are committed to provide maximum satisfaction to the clients with our finest products and prompt services. We are striving hard to offer our assortment of optimum quality products by adopting and adhering to the principle of consistency and maintaining transparency in our business transactions. 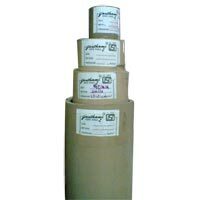 The gamut offered by us is superior in quality and is at par with international quality standards. Last but not the least, we leave no stone unturned to satisfy the customer and build long term relations with our clients.